If you’re in the market for some new carpet, you’re probably feeling more than a little overwhelmed. There are simply so many styles, textures and colours of carpet available these days, to the extent that settling on one is easier said than done. The Boas Cleaning Services team are experts in all things carpet-related, as we’ve been providing carpet cleaning in Perth since 2003. We may not be able to help you with the finer details of interior design, but we’re well-versed in how various types and colours of carpets hold up over time. With that in mind, we’re sharing some of our insight into how to go about choosing the best carpet to suit your needs and purposes. Your carpet colour is more the domain an interior designer, but we can at least share our experience with colour as it pertains to carpet cleaning in Ellenbrook, Bayswater and elsewhere in Perth. If your carpet is going to receive a lot of traffic, then stains are all but inevitable. Likewise, if it’s installed in a well-lit room, fainter stains are going to show more. In either case, a multicoloured carpet is going to conceal those stains. Consider Your Lifestyle and the Carpet’s Ultimate Purpose. Some carpets serve a more aesthetic purpose; others are intended to hold up under higher levels of foot traffic or to be more stain resistant. When you’re shopping around for carpet, there are several factors to take into account – from the room it will be installed in to the number of people who will be walking on it or even whether or not you have pets. At minimum, make a point of letting the salesperson know how and where you intend to use your carpet so that they can guide you to a suitable product. Who Will Install the Carpet? The installation of your carpet is every bit as important as its style and quality. 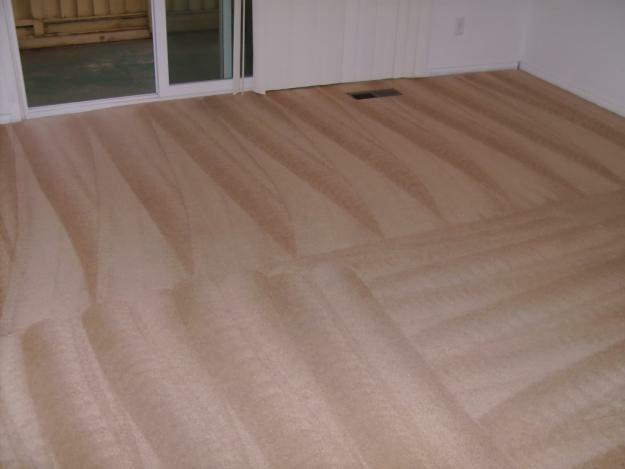 A poorly installed top-of-the-range carpet will wear out faster and manifest a range of problems along the way. Bear in mind that discount carpets may come with inferior installation – or installation by an inexperienced team. The ‘pile’ of your carpet refers to the density of its fibres. ‘Flat pile’ refers to shorter fibres, while ‘shaggy pile’ is longer. This is one of the most important considerations for your carpet, as it will determine how the carpet feels underfoot – as well as how long it will last. Shorter pile is generally stronger and bears up under heavier traffic. Longer pile is plusher but may not be able to sustain extensive wear and tear. It’s also worth noting that longer-pile carpeting will be more susceptible to marking and crushing under furniture legs. Longer-pile carpet also requires more careful cleaning, and we’ll adapt our cleaning solutions accordingly. Be Sure to Install Carpet Padding. We’ve found that it’s increasingly common for carpets in Perth to be installed without a pad. This is simply not advisable. The pad will help your carpet hold up longer under higher traffic, and it can also assist with insulation (both thermal and acoustic). This is something that you’ll need to purchase in addition to your carpet. Standard padding has a thickness of ¼ to ½ inch, but the carpet manufacturer will specify its required density and thickness. Have a Look at the Ratings. Australian carpets actually have a carpet rating system that tells you a lot about the product that you’re purchasing. An ‘extra heavy duty grade’ carpet will last longer and ultimately offers greater value for money. Similarly, there is a rating specifically for carpeting that’s going to be applied to stairs. In this case, we’re thinking specifically of volatile organic compounds (VOCs). The material used to create carpet releases VOCs into the air, and some are worse offenders than others. There are national regulations in place limiting the VOC level of carpets and other manufactured goods, but the burden is still on the consumer to ensure they’re purchasing responsible carpeting. Some manufacturers go above and beyond in this regard. Be Realistic about Fade Potential. All carpets fade over time, even when they’re of the highest quality. Bear this in mind when you’re shopping around, and be prepared for the carpet to seem lighter once it’s installed. Choose your carpet colour accordingly, and you’ll end up with carpet that looks better over the long haul. Any good carpet is going to come with a warranty that protects its texture retention. This covers the ability of your carpet fibres to return to their original shape and position after weight has been applied. However, it’s essential to read the fine print, and to be aware that manufacturers are experts at creating loopholes that allow them to sidestep replacing your carpet except in extreme cases of obvious defect. With that in mind, take a 15- or 20-year warranty with a grain of salt. Take Room Measurements before Shopping. This is really more a matter of convenience than anything. At minimum, go shopping with a rough estimate of your room size in mind. This makes it easier to estimate the full cost of various carpet types. Also bear in mind that salespeople often overestimate the amount of carpet you’ll actually need. It’s better to overestimate than underestimate, but even so, no one wants so spend more on their carpeting than necessary. When in doubt, second opinions never hurt. Once you’ve purchased your carpet, Boas Cleaning Services can assist with its upkeep and periodic cleanings. We serve the whole of Perth, but we’re headquartered in Kewdale and we focus on carpet cleaning in Bayswater, Ellenbrooke, Morley and the surrounding area. Contact us now in your specific area of Perth to learn more about our carpet cleaning services.